Fearless Presentations® Public Speaking Course: If you want to present with more poise and confidence, then the Fearless Presentations® two-day public speaking seminar, our most popular and convenient presentation skills workshop, is a great choice. The two-day seminars are almost like two separate classes in one. Day #1 is is designed to help participants eliminate public speaking fear. Day #2 is designed to help participants quickly and easily design professional presentations that will Wow! your audience. Register for both days for just $1395/person. 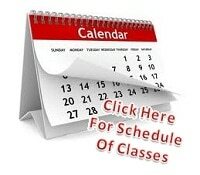 Click any of the links above to register for a particular program!